Behcet's disease is a rare disorder that causes inflammation in blood vessels throughout the body. The inflammation of Behcet's disease causes numerous symptoms that can occur all over a person's body. Many of the symptoms may initially seem unrelated making it difficult to diagnose and treat Behcet's disease at first. Signs and symptoms of the disease vary from person to person, but they may include mouth sores, eye inflammation, genital sores, joint swelling, vascular inflammation, skin rashes, and skin lesions. It is thought that Behcet's disease is an autoimmune disease, and both genetic and environmental factors contribute to Behcet's. At Ortho Sport & Spine Physicians, we offer treatments to reduce the signs and symptoms of Behcet's disease and to prevent serious complications. Joint swelling and pain often affect the knees in those suffering from Behcet's disease. The ankles, elbows, wrists, and other smaller joints may also be affected. Joint symptoms may last one to three weeks and may come and go. 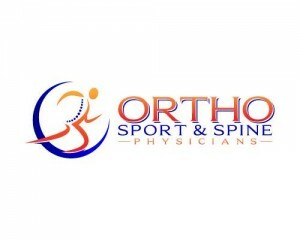 At Ortho Sport & Spine Physicians, our practice features a team of double board certified Interventional Spine physicians and orthopedic specialists who use their expertise at helping those with Behcet's disease. Using minimally invasive, non-surgical methods such as anti-inflammatory medications, steroid injections, physical therapy, massage, and other proven methods, our physicians can help you manage your condition and find relief. Because the symptoms of Behcet's disease vary from person to person, you can expect to receive personalized care and treatment at Ortho Sport & Spine Physicians. If you suffer from the painful symptoms of Behcet's, call our practice today to schedule a consultation with one of our experienced physicians. We are dedicated to helping you live your life well.